This student-friendly text introduces students to the history and scope of literary theory, as well as showing them how to perform literary analysis. Designed to be used alongside primary theoretical texts as an introduction to theory or alongside literary texts as a model for performing literary analysis. Presents a series of exemplary readings of particular literary texts such as Jane Eyre, Heart of Darkness, Ulysses, To the Lighthouse and Midnight's Children. 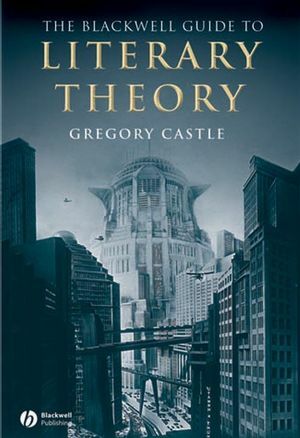 Provides a brief history of the rise of literary theory in the twentieth century, in order that students understand the historical contexts for different theories. Presents an alphabetically organized series of entries on key figures and publications, from Adorno to Žižek. Features descriptions of the major movements in literary theory, from critical theory through to postcolonial theory. Gregory Castle is Professor of English Literature at Arizona State University. His previous books include Modernism and the Celtic Revival (2001), Postcolonial Discourses: An Anthology (Blackwell, 2001), and Reading the Modernist Bildungsroman (2006). Part II: The Rise of Literary Theory:. Part III: Scope of Literary Theory Critical Theory:. Part IV: Key Figures in Literary Theory:. Gilles Deleuze & Félix Guattari. Sandra Gilbert & Susan Gubar. Part V: Reading with Literary Theory:. John Keats, “Ode on a Grecian Urn”. Herman Melville, “Bartleby the Scrivener”. W. B. Yeats, “Leda and the Swan”. Angela Carter, Nights at the Circus. Conclusion: How to Read Theory. A student-friendly introduction to the history, scope and application of literary theory.